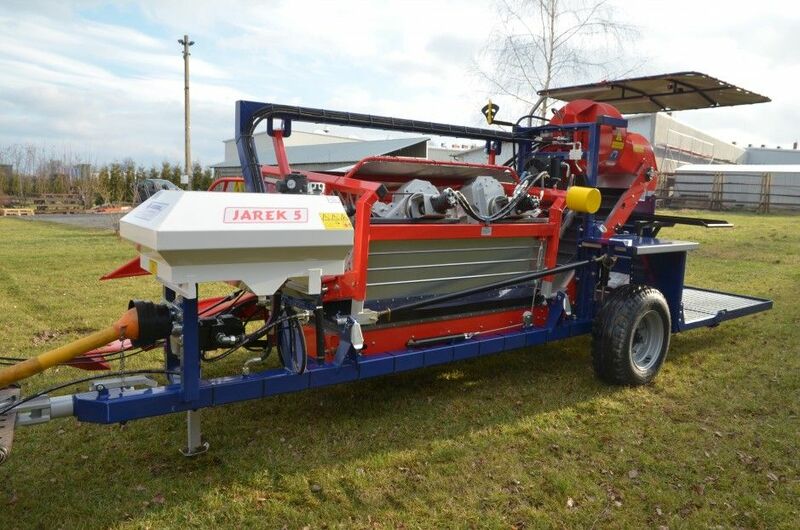 JAREK 5 is the latest version of the half-raw harvester designed to collect berries such as blackcurrants, red and yellow currants, gooseberries have also known as honeyberries, autumn-fruiting raspberries, saskatoon berries, rose hips and haskap harvester. 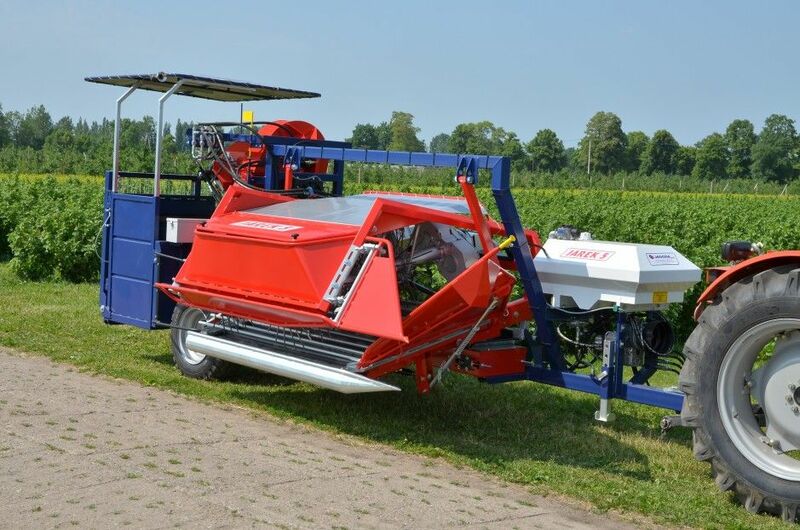 JAREK 5 is a versatile harvesting machine that can be adapted to suit the specific needs of berry growers. 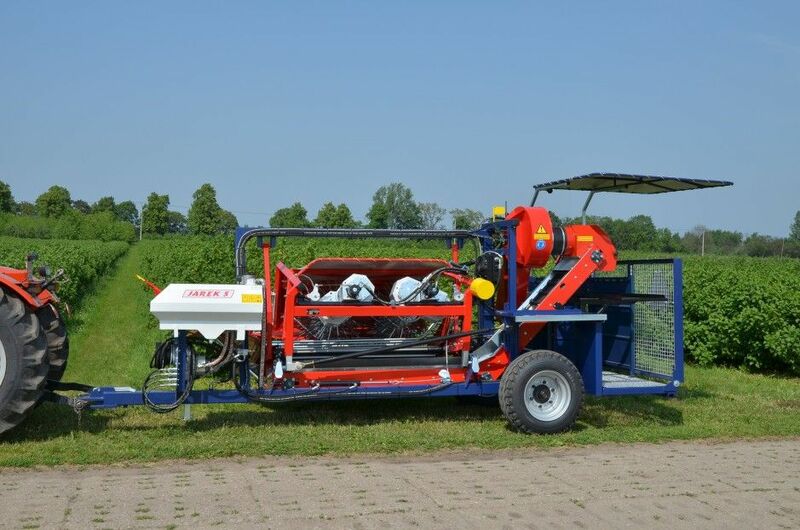 Check the example versions: Aronia Harvester ARONIC and Raspberry Harvester JAREK. JAREK 5 is characterized by the high-quality finish, simple construction design and easy operation. A significant change compared to previous versions of JAREK is the modular design. This allows adjusting the harvester to customer needs and a change in configuration at a later date. Working elements of the harvester’s drive are fully hydraulic. Tractor’s PTO drives black currants and haskap harvester through a hydraulic pump gear. JAREK design enables an installation of one or two shakers (to be decided by the customer when ordering), the version with 2 shakers being more popular. Two-shaker design has had better results with most varieties of berries; fruits were gathered more accurately and shrubs were less damaged. A wide range of adjustment to the shaker’s elements and the possibility of low-mount of “sun-shaped” shaking elements enables the collection from both high and low shrubs. The harvest of berries from very low shrubs may result in lower accuracy. The ‘sun-shaped’ shakers can be equipped with metal (20 items) or plastic (24 items) fingers. We provide service and spare parts for all our machines. The configuration of every harvester and the accompanying equipment is agreed individually following the grower’s needs. Our team will help choose the best configuration. Please contact us through the contact form on the left, to discuss the options. Drive External hydraulics of the tractor – control of harvester’s operating assembly. A drive of workgroups – hydraulic pump through the transmission.